Any mom can tell you where kids roam, messes follow. Multiply that by hundreds and you’ll need a cleaning crew. 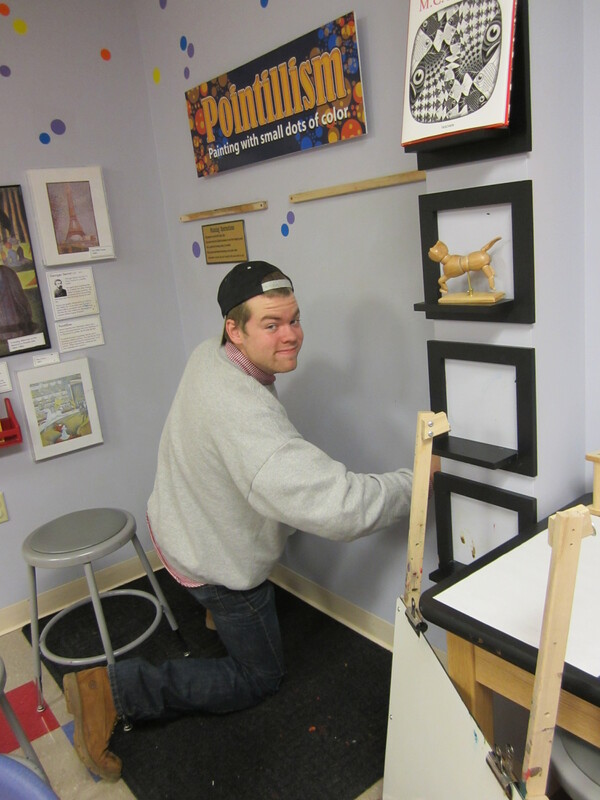 That’s what downtown Harrisonburg’s Explore More Discovery Museum got recently when members of the Sigma Nu fraternity descended on the museum after hours. They grabbed buckets, rags, mops and squeegees. 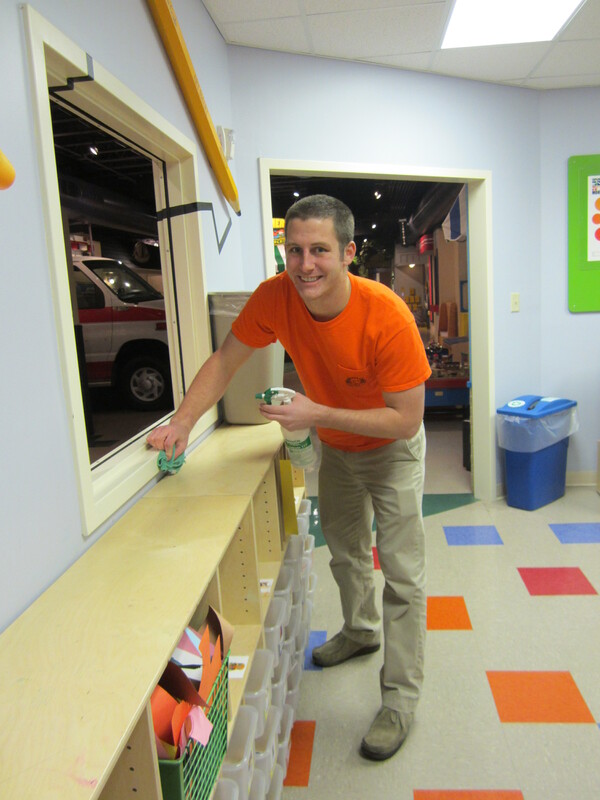 They wiped tables and counters, cleaned bathrooms, mopped up floors and polished windows. When they left that evening, the museum was sparkling. 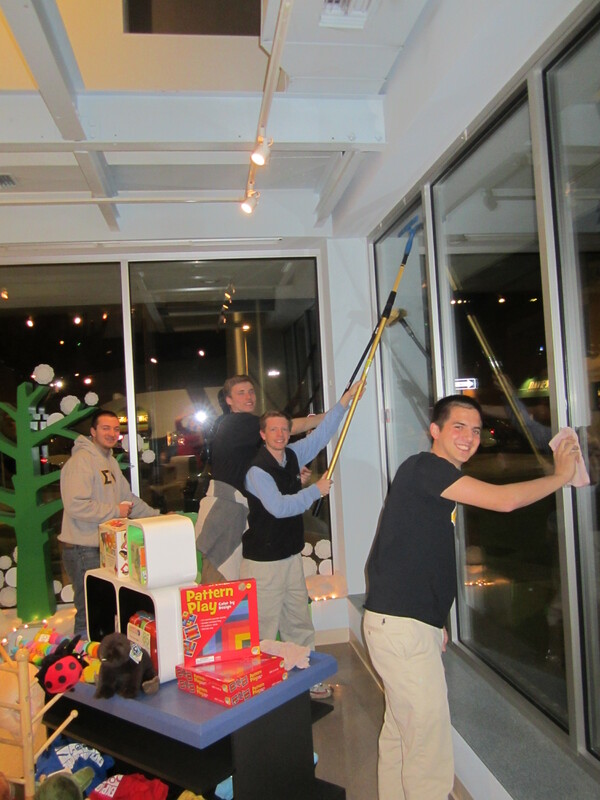 Volunteers like the brothers of Sigma Nu are critical to the operation of the museum, a downtown treasure. So we applaud the guys for their volunteer service to the community’s children. It’s a great way to be the change. To learn more about Explore More Discovery Museum and its JMU connection, you’ll find a story on the JMU website.